A car dealership that feels more like an inviting hotel. A concierge who greets you with a smile. A product specialist who answers questions on your terms. A transparent price on the best vehicle for you. A team of experts to help you maintain it for years to come. With our 60-year history and thousands of loyal guests, we’ve made car buying and auto care not only easy – but fun. It’s not hard to see why more Southern Arizonans buy their vehicles from Precision than from anywhere else. Private massage chair rooms. Coffee, tea, books within an arm’s reach. Spacious lounges to relax. Fast Wi-Fi and charging outlets to work. Dedicated Kids’ Zone. App-loaded iPads, TV, books, board games galore. Service guests can escape to our tranquil Quiet Lounge, complete with soft lighting, coffee bar, and curated library. On-site cafe. Heathy meals and yummy snacks await. Indoor delivery bays let our guests learn about their new vehicle in climate-controlled comfort. Car buying can be stressful, but it doesn’t have to be. Other dealerships don’t value your time. We set V.I.P. Sales Appointments so we know when you’re coming, and can have your vehicle of interest ready and waiting when you arrive. Other dealerships don’t value your trust. We price our inventory using transparent, market-based pricing. We even evaluate trade-ins this way, meaning you know you’re getting a fair offer. And we back that up – we’ll offer to buy your car from you even if you don’t buy one from us. Other dealerships are just looking for the next sale. We care about you. From a thorough vehicle delivery, to post-sale check-in calls, to helping you set your first service appointment before you drive away, our process is designed to be the best car buying experience you’ve ever had. Expert service, at your service. 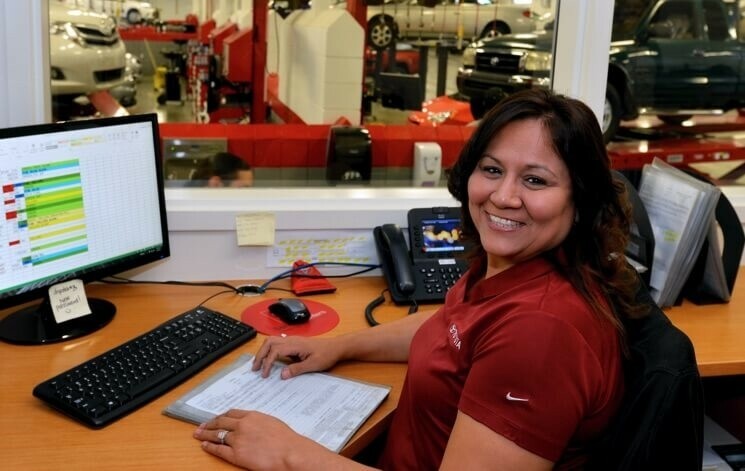 When you pull into our indoor service drive, you know your vehicle is in the best hands. Whether you need a routine check-up or extensive repair, our friendly service advisors are here to listen and help assess your needs. After check-in, your vehicle will enter the heart of our Toyota Service Center — our state-of-the-art, 70-bay workshop. While our factory-trained team gets to work, you get to enjoy abundant guest amenities like our airy café, relaxing lounges, private work spaces, serene Quiet Lounge, Kids’ Zone, fast Wi-Fi, and more. Prefer to leave and come back when your vehicle is ready? We can help you arrange a complimentary shuttle ride or rent a vehicle from our on-site Rental Center. Even better, all of these on-site perks are free. Just like ToyotaCare, the no-cost maintenance plan that comes with every new Toyota. Your best decision. 60 years and counting. When we say we’re your best decision, we mean it. Owned and operated by the same local family since 1954, we’re proud to be a strong member of our beautiful city. But we’re not only a vibrant presence in Southern Arizona. We’re recognized as one of the nation’s best Toyota dealerships, having earned Toyota’s coveted President’s Award for CustomerFirst fifteen times. This year-end decoration goes only to dealerships that display high standards for guest satisfaction in all facets – from service to parts to sales. 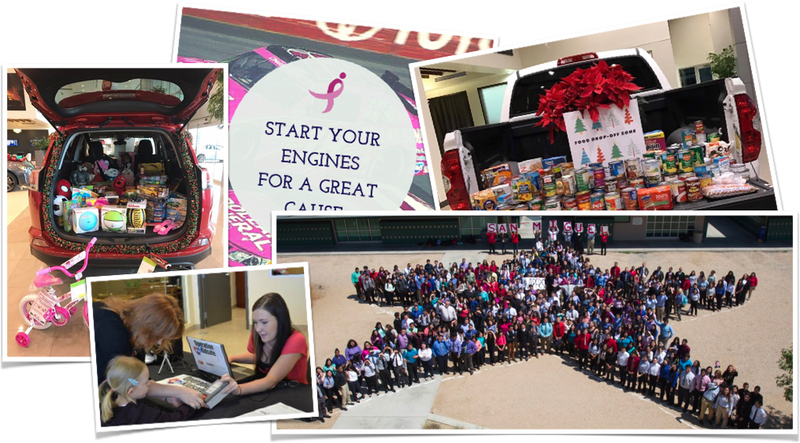 15-time winner of Toyota’s national award for CustomerFirst. More than any dealer in Tucson. 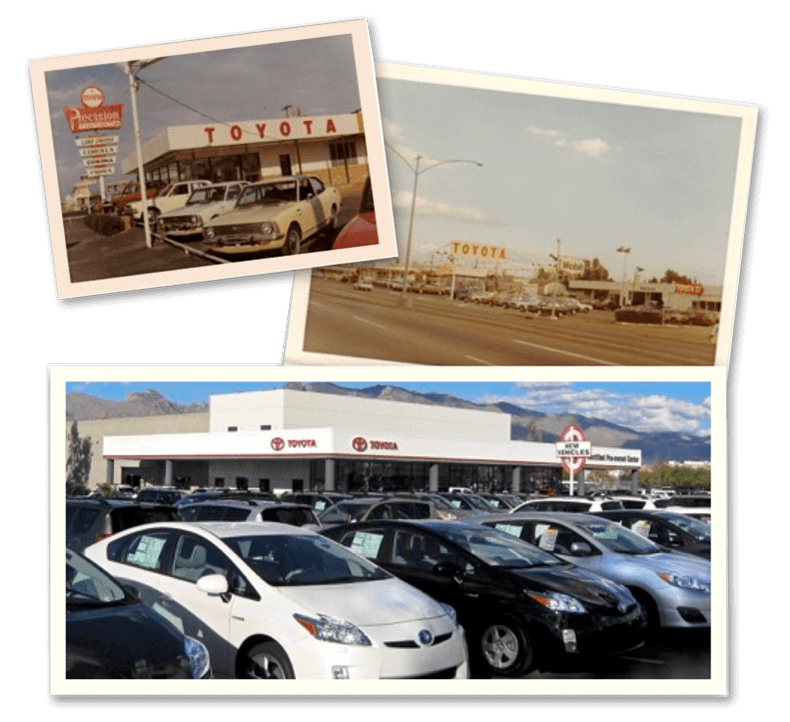 From our small beginnings on a Stone Avenue lot in 1954 to our all-new dealership on Wetmore Road, we’ve been lucky enough to work with generations of Southern Arizona customers. We look forward to doing the same for generations to come. Precision Motors opens for business on Stone Avenue. Precision begins a partnership with Toyota, a new Japanese import. Due to high demand, Precision begins selling Toyotas exclusively. Over 20 years, Precision develops into a trusted local dealer with its own service, parts, and body shop facilities. Precision expands to its current home on Wetmore Road at Auto Mall Drive. Precision relocates its Collision Center to a 21,000 sq. ft. facility just one block from the main dealership. Precision embarks on its biggest expansion, transforming into a 130,000 sq. ft., state-of-the-art auto facility. Precision moves in to its new home on Wetmore Road. We can’t wait to see what comes next. Giving back to our hometown. Depending on the time of year you visit us, you may get to see some of this giving in action. Our showroom is regularly home to school supply drives for local teachers, toy drives for children, and holiday food drives. Nearby, you may find us hosting a pet adoption event in our air conditioned delivery bays.